Pumpkin seeds are packed with tons of nutrients. 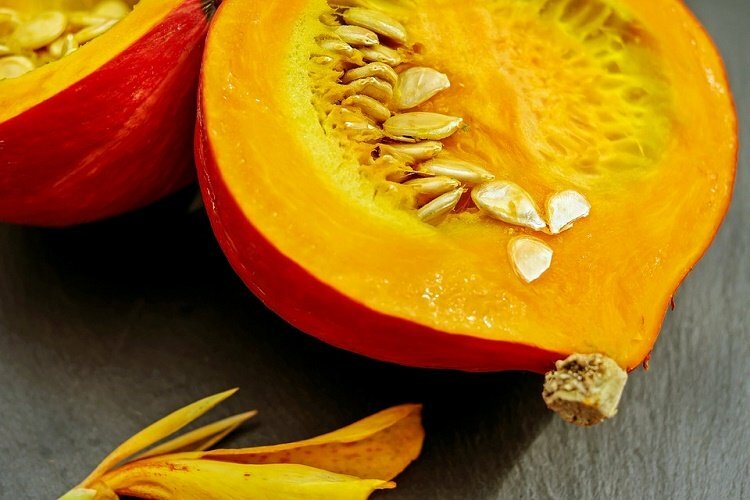 They are rich in minerals, iron, zinc, proteins and vitamin K. These unique nutritional health benefits as well as their flavor and texture help pumpkin seeds find an important place in hundreds of recipes, both sweet and savory ones. Let us study some easy ways to eat more pumpkin seeds. Remove the pumpkin seeds from their surrounding pulp. Place them on a parchment paper in a single layer and let them dry overnight. Transfer the seeds on to a baking sheet and lightly roast them at 160 F for 15-20 minutes. Note that you can preserve the healthy oils in the seeds by roasting at a lower temperature. Store the roasted seeds in an airtight container for up to 4 weeks. Consume daily as snacks or appetizers. Vegan and paleo dieters as well as lactose intolerant people will find this a wonderful way to get more calcium, phosphorus and magnesium without having to turn to dairy. Drinking pumpkin seed milk can prevent osteoporosis in women and also safe guard prostate health in men. Pumpkin seed milk recipe is a wonderful way to eat more pumpkin seeds daily. Strain the seeds and discard the soaking liquid. Add the seeds and water to a high powered blender and blend for 2 minutes. Once you have a smooth mixture, strain the milk through a nut-milk bag or nylon cloth. (You can add the pumpkin pulp to your plants as compost or use it in baking recipes. Variation: to make spicy pumpkin seed milk which is perfect for fall, add some cinnamon and nutmeg to the blender. You can also make a chocolate version of pumpkin seed milk recipe by adding sweetened or unsweetened cocoa powder to the final product. This is a fantastic recipe to use up the leftover pumpkin seed pulp discarded above. Mix all ingredients and shape into patties. Place patties on lined baking sheet and bake for 20 minutes. Turn patties and bake again on the other side for 10 minutes. Serve in burger buns, with your favorite gravy or sauce. You can use the above recipe to make the pumpkin seed bread. Simply shape the dough in form of loaf and bake in a 9×12 lined baking pan. Mix the honey, extract, meal, salt, nuts, seeds and nut butter until combined. Use a rubber spatula to mix so that it does not stick to your hands. Prepare an 8 inch baking pan by lining it with parchment paper. Press the nut-seed sticky mixture into the pan up to 2 inch thickness. Turn the granola bar out on a wire rack and cool completely for an hour. Cut into individual bars. Wrap the bars into plastic wrap or parchment paper. Add pumpkin seeds to soups, salads and in all your recipes. You can also use them as a garnish on your pudding recipes. Below is an easy pumpkin seed sauce recipe which goes very well with pasta recipes. Fry pumpkin seeds, onion, bread, and garlic until the oil is absorbed. Add the pepper chopped. Fry for a minute then turn off heat. Cool slightly. Place the mixture in a food processor. Blend until smooth and creamy. Mix the puree with cream and broth. Stir in the salt. Warm the mixture on low heat until heated through. Serve over cooked pasta (ravioli) etc. Make pumpkin seed brittle. Check recipe here. Make them into pesto. Check pumpkin seed pesto recipe here.